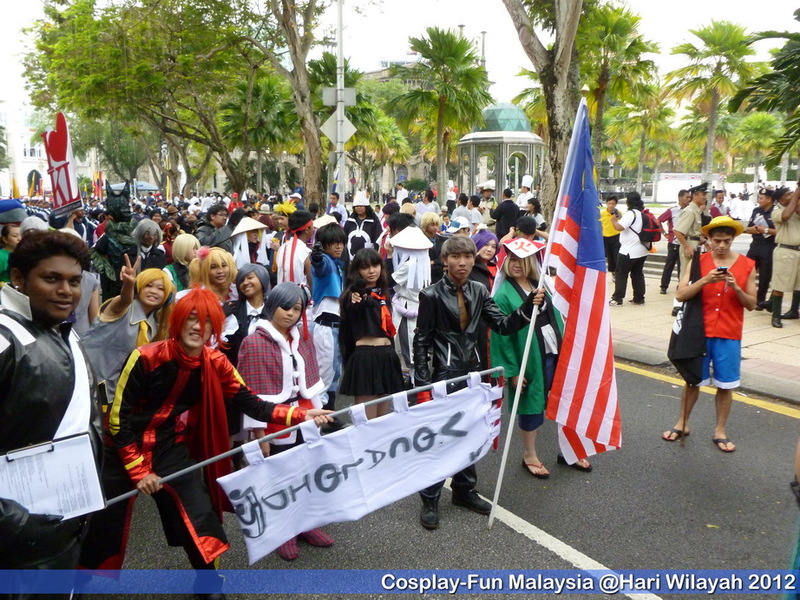 Here’s a 5th Anniversary tribute to the 45 of us who made cosplay history in Malaysia for becoming the First Ever Cosplay Contingent to take part in a large scale parade!! Why was this not posted earlier? Well mainly because it was a bitter sweet experience. Very bitter in the beginning but as time went by… only the sweetness remains. The full story of the events have not been told till now. I have kept much of it to myself for so long and this year marks the 5th Anniversary of the historical feat that till this day, has not been done again. And so I wanted to commemorate it by sharing the challenges i faced for this historical event to take place. 5 years later, it was worth it. Get ready for a LONG read. 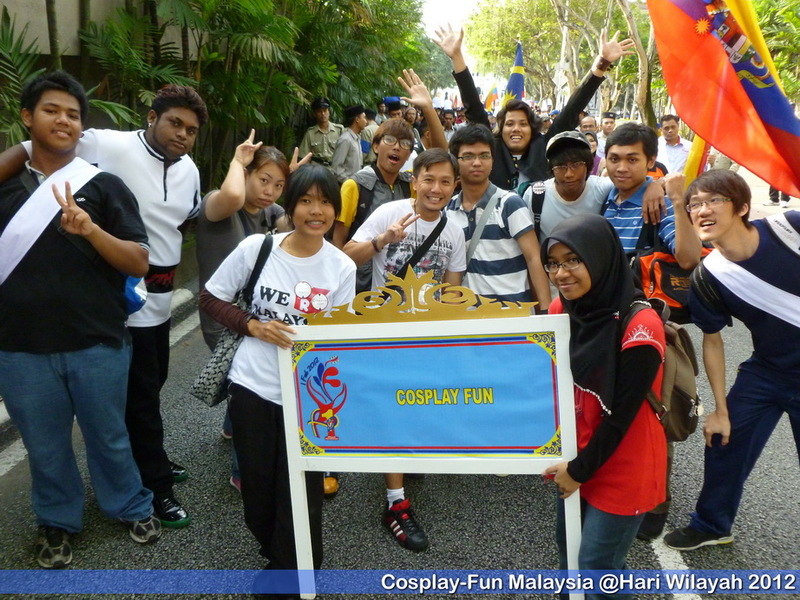 5 years ago in February… 45 of us made cosplay history in Malaysia by being the first (and only to date) cosplay contingent to take part in the Hari Wilayah (Federal Territory Day) celebration parade. On a size scale & festivity level this celebration parade this was only second to our Merdeka Day (Independence Day) celebration parade! It was televised live on RTM (TV1) as we marched on the historical landmark Dataran Merdeka (Independence Avenue) in the heart of Kuala Lumpur. Our Prime Minister was in attendance looking on as we marched past the VIP stand, presenting the team salute. It was such an amazing opportunity & it was such an amazing once – in – a – lifetime experience! However, the road getting to that point was a huge challenge. One that has not been shared before. Also here are some photo footage that has not been shared till now. It all started when I got a call from an event organizer whom I previously work with 2 years back. So they said, this year’s Sambutan Hari Wilayah (2012) was very close to the Chinese New Year, so because of this many communities / contingents who usually take part…. are unable to this year. 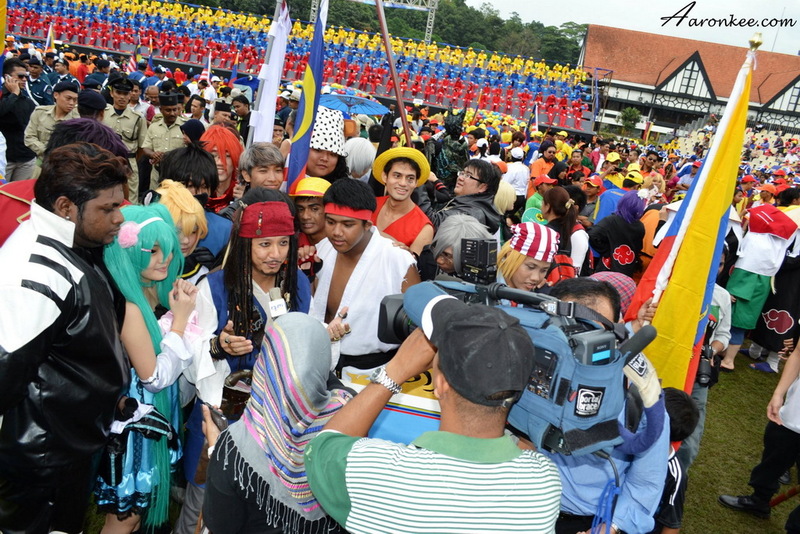 “Would you like to take part in the parade & put together a contingent of cosplayers?”. My reply, “WHAT? Woah!”. To qualify, or more like look presentable in a large scale parade like this, there is a minimum number of people that each contingent should have. Since all participating teams are under manned, the minimum number of members of each contingent was reduced. So, I was offered a spot in the 2nd largest national-pride-sake parade if I could pull together a minimum of 40 participants in my contingent. Considering the time I had in hand, which was maybe about less than 3 weeks to the date, the decision weighted heavy on me. To commit or not to commit? To take this project on or not? There was nothing to loose if I didn’t take it…. no one would know about this opportunity. But in my heart I felt that maybe since this opportunity came to me, so I should just take the challenge on. Nothing to loose but sooooo much to gain for the community if it was successful! “Optimistic doubts” of thinking that maybe, I should skip this year… & that I can do it next year. On the other side of my mind, what if there is no ‘next year opportunity’? (Wisdom from my late granny) Can I live with that? And so the conclusion was to go for it! The ‘go for it’ actually only meant that I would be the initiator of this project, because I couldn’t make this event a success all by myself. This event requires numbers; minimum forty (40) to be exact… there is no way I can conjure that up on my own. This project is a wonderful opportunity for the community and, if done successfully, will be a wonderful achievement for the local community!! So make or break – it will be decided by the community. I just needed to make the call… & arrange all the logistics… the community (numbers) will have the answer on whether this event happens or not. Little did I know that that was not the only thing I needed! I didn’t know what crap load of back lash I was going to get… not from the general public but from within the community itself. The very folks I want to do this for, want to burn me at the stake. 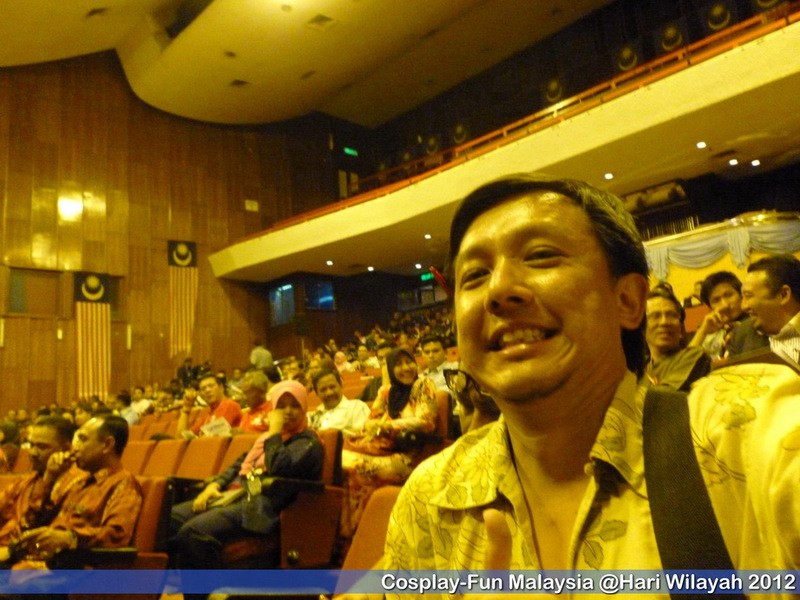 It all started with this newbie cosplayer who kept demanding to know every single detail about the ins & outs of the event – how I got the contact, who is the organiser, what do they do etc. and wanted the info straight away replied to her public post on FB. If I didn’t reply in her desired time frame, she will repost and accuse me of ignoring her questions. This is the beginning of the phrase ‘Cosplay Polis’… she goes on to attack the legitimacy of the event, accuse me of using cosplayers, embezzling of money etc. Then she continues to go further by calling up Dewan Bandaraya KL to check. Wow, so much free time! Woman please! Firstly, if you are interested to join then just join. If you are not, then its ok, no one is forcing anyone to join. Why do you demand immediate attention & all answers to your questions when you are not interested to join in the first place? 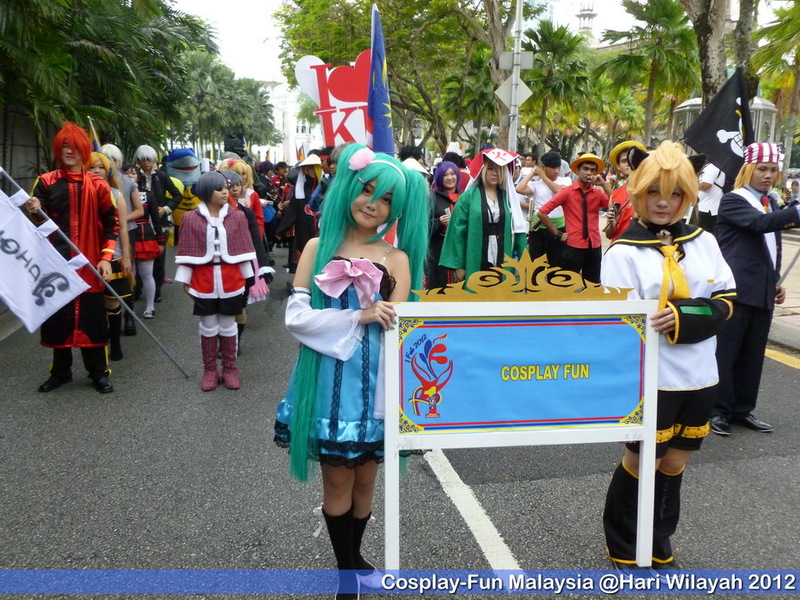 Sufficient information has already been posted for cosplayers to deliberate if they want to join the parade or not. Secondly, you don’t organise events or even volunteer at events… why must you know everything about the ins & outs. This is the offer I got & this is the offer – as is. 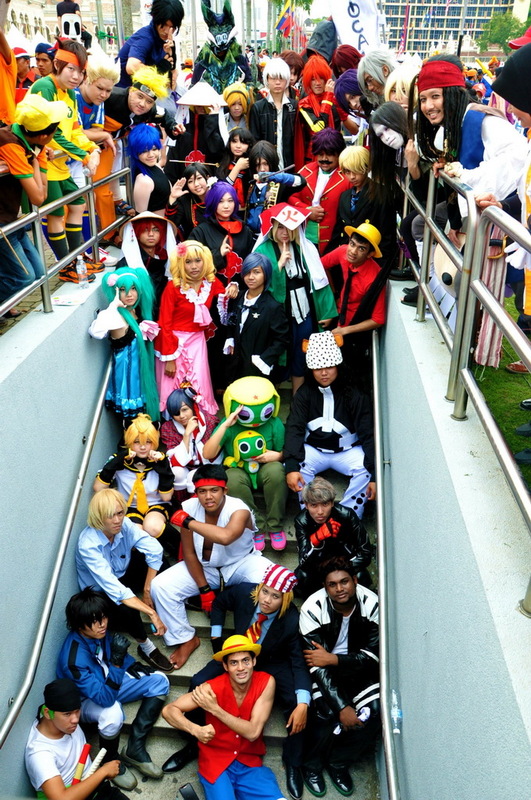 Cosplayers are NOT STUPID, they can read, and they can understand… if they want to join, here is the details. What is it that you are not satisfied about? It was not the end, soon after a crossplaying senpai joins in the “Inquisition”… demanding for details. Dude, you also don’t organise event nor volunteer at events but want to make this kind of demands. Now the most shocking part that hurts the most is that – we are all friends. This newbie cosplayer, the famous botak photographer bf and the crossplaying senpai, we were all knew each other well enough to yam cha. They could have PMed & asked to know about this or that, but they didn’t. 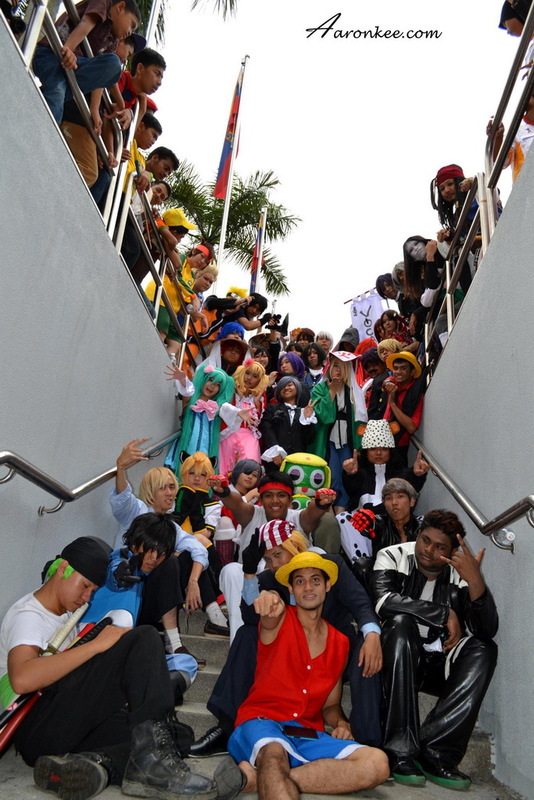 They all wanted to make a public scene on social media… in a comment on the event page, in the cosplayfun FB group. This newbie cosplayer, is not just an average cosplayer – she really cosplays well & has very nice costumes because she makes them herself. I’ve helped sai kang her group photo shoot in Genting & manage some logistics. 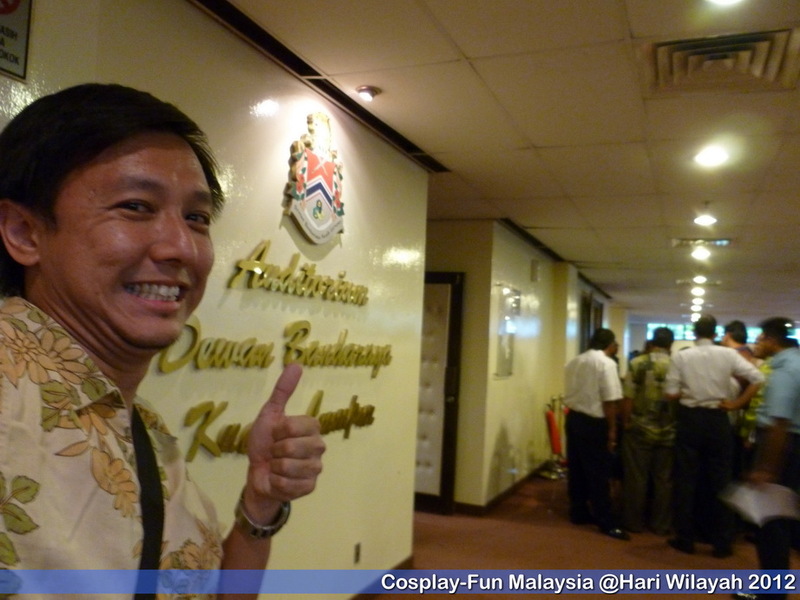 I have even invited the senpai crossplayer & her to hear their counsel on community events… then suddenly this. Wow! I never imagined such a HORROR since joining the community in 2006. 5 years down the road the beautiful things are surely still very apparent and resonate louder than than the crap I went thru. I can’t say for everyone but I personally formed a close bond with you all. I wouldn’t trade 49* of you for the well wishes of the haters. As I look back at all the existing footage from folks like Leena (videos), Nao (blog + photos), Sky (Blog + photos), AaronKee.com (photos), Alan Chin (photos), Whe96668 (videos), it really lifts my spirits again. Also as I revisit this footage, I remember the size & scale of this event that took place. I can see all your faces & your emotions as we share & enjoy this experience together 😀 All this encouraged me to also share my previously unpublished photos & videos. I’m a guy who likes to keep this stuff to myself because it is very special to me. Also after all the backlash I got from this… kept me from full enjoying our moments until now. In this 5 years, I’ve seen many wonderful things happen in all your lives! 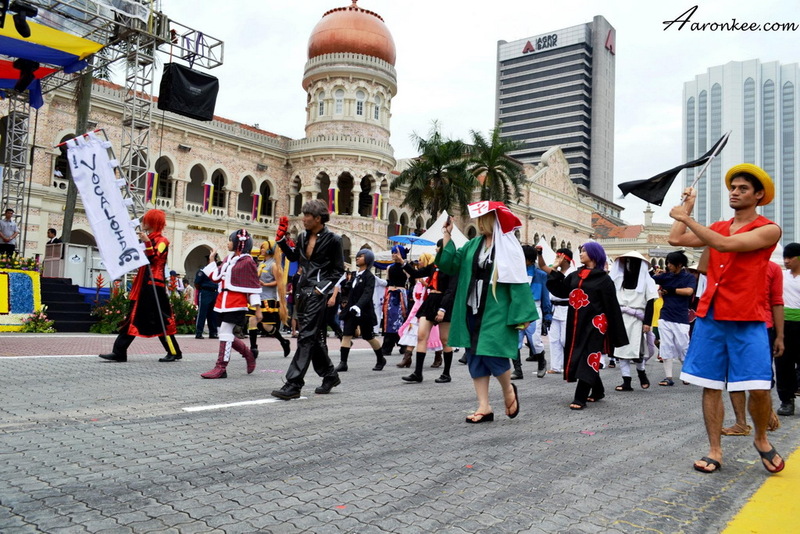 Students graduating and joining the work force, cosplay competitors become competition winners, then become competition judges and then national champions to represent Malaysia; cosplayers become guest cosplayers, cosplay emcees, e-sport personality; cosplayers become famous singing artist, cosplayers join ACG bands, shy guy take on a Talk Panel at a convention, some of you get your dreams come true by either working, studying, staying in the beloved land of the rising sun – JAPAN!! Very very inspiring! Despite the enthusiasm, I also want to remember those who are no longer with us. I’m glad we had shared something special & even historical together. It may not have been so main stream with celebrity glamour but it’s uniqueness & comradely was like no other! For some of you, I only got to meet you guys for the first time on rehearsal day and then others… I only met you for the first time on parade day!! That just blows my mind. Like minded folks with the same passion, united in purpose… can do great things! This is awesome stuff! *49?? – There is still one other amazing thing that happened on event day. I was organising this event and focused everything on trying to meet the contingent quota and I was leading this contingent… that I forgot to consider if I had enough sai kang help if miscellaneous things happen. My fiancé (now wife) was already there running thru the schedule with me but it was not enough. 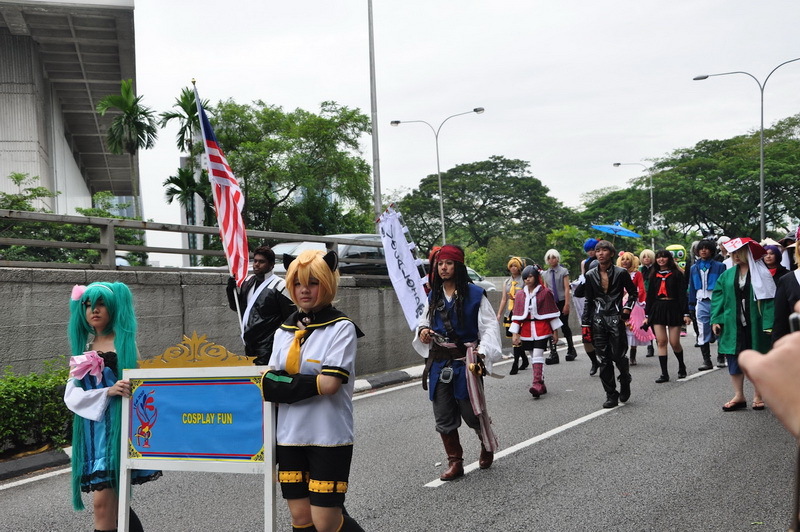 Then suddenly Sky and Yuan with Narukids appear out of nowhere… at the right time on parade day. They couldn’t commit to the parade because they had things on but they came when they could. I will never forget what Sky said when I asked “Heyyy omg great to see u guys! What you all doing here” – she said innocently & truthfully – “We came to see and see if you needed help”. Those words really touched my heart because it was a total opposite of newbie cosplayer and the others. I truly need help and they sanggup to help in any way they can. So it ended up they looked after our bags which were placed on the side walk in front on Masjid Negara! 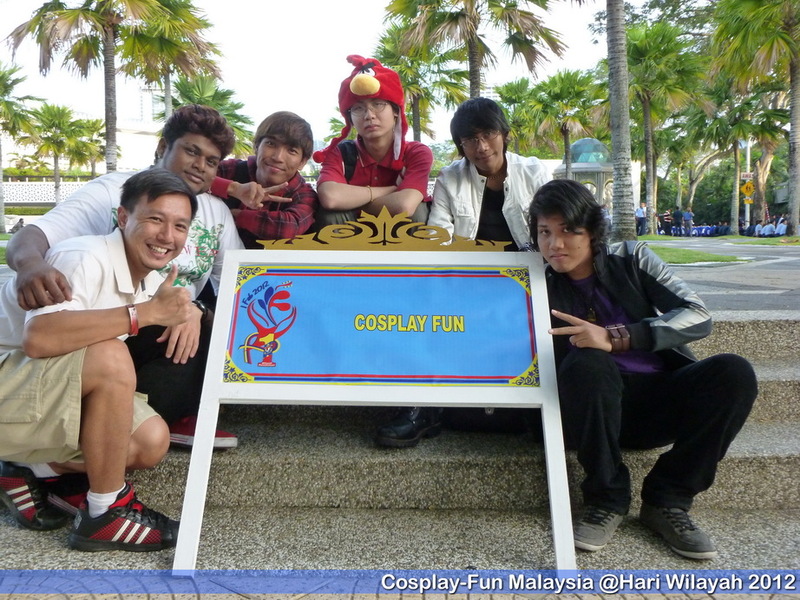 These are Malaysia’s (first ever) representatives to the World Cosplay Summit Finals. They also represented Malaysia at the famous Tokyo Game Show and have took home many more 1st Place prizes thru the years! And they came to look after our bags… I was really touched… and am still touched till this day. This is a very long post, but that’s because it’s one very close to my heart. We achieved something very special together! We were all very much united, harmonious and MUHIBAH! I believe we were a great example of what Malaysians can achieve when united and a great representation of the word COMMUNITY!! 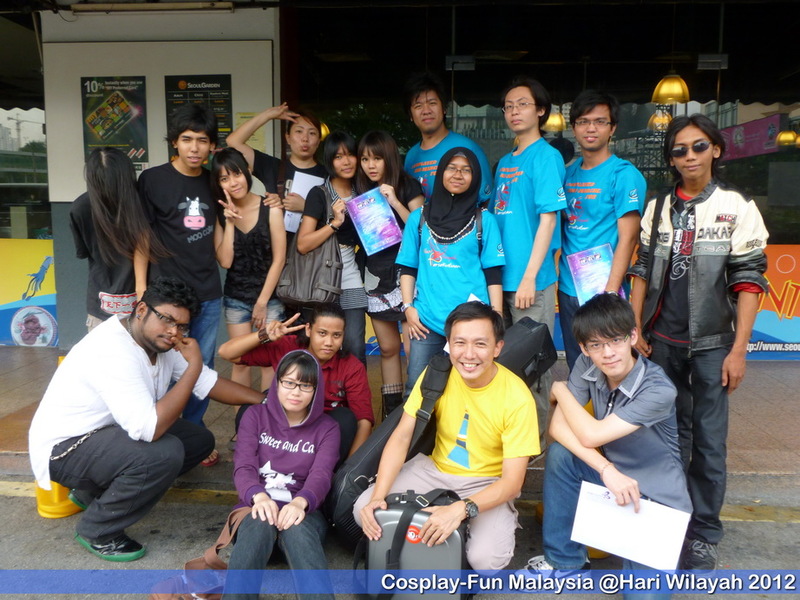 And so here is to the 49 of you, commemorating the 5th Anniversary of what was the historical-first-time-ever… one & only Cosplay Contingent for Sambutan Hari Wilayah – Federal Territory Day 2012! This entry was posted on 23/06/2017 by The Captain. 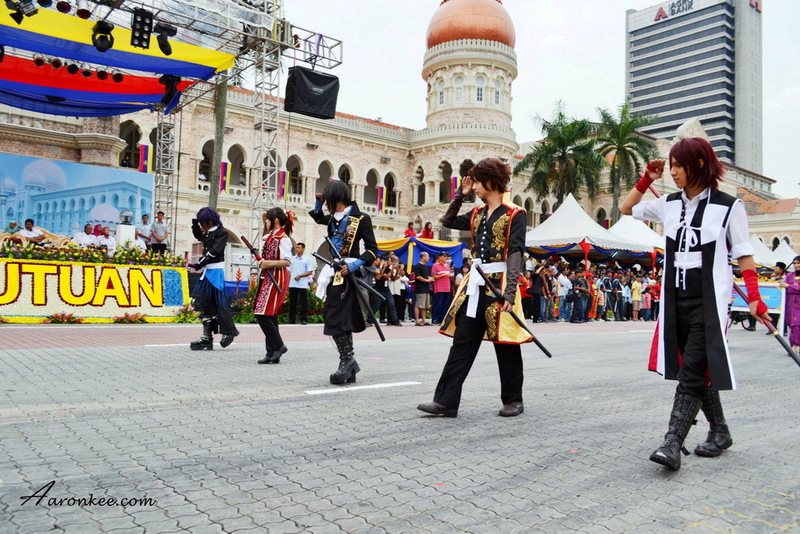 It was filed under Anime, Cosplay, Event, Event Coverage, Recent Community NEWS and was tagged with aaronkee.com, Allen Yap, Community, Cosplay Fun, Cosplay Malaysia, Cosplay-Fun Malaysia, Federal Territory Day 2012, FT Day 2012, Hari Wilayah 2012, Harmony, Malaysia, Muhibah, Sambutan Hari Wilayah, The Captain, United.